Our podcast takes up the big questions of security, risk, and vulnerabilities. A weekly discussion with experts and the Varonis team. It’s great to be Amazon to only have one on-call security engineer and have security automated. However, for many organizations today, having security completely automated is still an aspirational goal. Those in healthcare might would love to upgrade, but what if you’re using a system that’s FDA approved, which makes upgrading a little more difficult. What if hackers were able to download personal data from a web server because many weren’t up-to-date and had outdated plugins. Meanwhile, here’s a lesson from veteran report, Brian Krebs on how not to acknowledge a data breach. By the way, would you ever use public wifi and do you value certificates over experience? In part one of our interview with Kaiser, he taught us the importance of looking at the process behind a numerical finding. We continue the conversation by discussing the accuracy of statistics and algorithms. With examples such as shoe recommendations and movie ratings, you’ll learn where algorithms fall short. Recently in the security space, there’s been a spate of contradicting priorities. For instance, a recent study showed that programmers will take the easy way out and not implement proper password security. Antidotally, a security pro in a networking and security course noticed another attendee who covered his webcam, but noticeably had his bitlocker recovery code is printed on a label attached to his screen. When protocols and skills compete for our attention, ironically, security gets placed on easy mode. In the real word, when attackers can potentially create malware that would automatically add “realistic, malignant-seeming growths to CT or MRI scans before radiologists and doctors examine them.” How about that time when ethical hackers were able to access a university’s student and staff personal data, finance systems and research networks? Perhaps more education and awareness might be needed to take security out of easy mode and bring it in real-time alerting mode. In the business world, if we’re looking for actionable insights, many think it’s found using an algorithm. However, statistician Kaiser Fung disagrees. With degrees in engineering, statistics, and an MBA from Harvard, Fung believes that both algorithms and humans are needed, as the sum is greater than its individual parts. Moreover, the worldview he suggests one should cultivate is numbersense. How? When presented with a numerical finding, go the extra mile and investigate the methodology, biases, and sources. For more tips, listen to part one of our interview with Kaiser as he uses recent headlines to dissect the problems with how data is analyzed and presented to the general public. Should CISOs use events or scenarios to drive security, not checklists? It also doesn’t matter how much you spend on cybersecurity if ends up becoming shelfware. Navigating one’s role as a CISO is no easy feat. Luckily, the path to becoming a seasoned CISO is now easier with practical classes and interviews. But when cybersecurity is assumed to not be not very important. Does that defeat the leadership role of a CISO? Scott Schober wears many hats. He's an inventor, software engineer, and runs his own wireless security company. He's also written "Hacked Again", which tells about his long running battle against cyber thieves. Scott has appeared on Bloomberg TV, Good Morning America, CNBC, and CNN. In the second part of our interview, Scott talks about the benefits of "layered security" and offers additional consumer security and privacy tips. Scott Schober wears many hats. He's an inventor, software engineer, and runs his own wireless security company. He's also written "Hacked Again", which tells about his long running battle against cyber thieves. Scott has appeared on Bloomberg TV, Good Morning America, CNBC, and CNN. In the first part of our interview, we learn about Scott's experiences with credit card fraudsters and his data security lessons for small businesses. With data as the new oil, we’ve seen how different companies responded. From meeting new data privacy compliance obligations to combining multiple data anonymized points to reveal an individual’s identity – it all speaks to how companies are leveraging data as a business strategy. Consumers and companies alike are awakening to data’s possibilities and we’re only beginning to understand the psyche and power of data. By now, we’ve all seen the wildly popular internet of things devices flourish in pop culture, holding much promise and potential for improving our lives. One aspect that we haven’t seen are IoT devices that not connected to the internet. This podcast episode will provide all product manufacturers and IoT enthusiasts a few important lessons. In the first part of my interview with Scout Brody, we cover why security systems aren’t binary, the value of user interface designers, and how to cross pollinate user personas with threat models. The combination of business and technology-related challenges and the requirement to meet regulatory compliance obligations as well as managing risk is no easy feat. European officials have been disseminating information on how to prevent online scams, general tips as well as warning signs. Other attorneys have been reflecting on legislative developments to prepare for the year ahead. Meanwhile, businesses like Facebook and Reddit are finding their rhythm as they dance between running their business, meeting compliance requirements and keeping their users’ data safe and secure. Tiffany C. Li is an attorney and Resident Fellow at Yale Law School’s Information Society Project. She frequently writes and speaks on the privacy implications of artificial intelligence, virtual reality, and other technologies. Our discussion is based on her recent paper on the difficulties with getting AI to forget. In this second part, we continue our discussion of GDPR and privacy, and then explore some cutting edge areas of law and technology. Can AI algorithms own their creative efforts? Listen and learn. Tiffany C. Li is an attorney and Resident Fellow at Yale Law School’s Information Society Project. She frequently writes and speaks on the privacy implications of artificial intelligence, virtual reality, and other technologies. Our discussion is based on her recent paper on the difficulties with getting AI to forget. In this first part, we talk about the GDPR's "right to be forgotten" rule and the gap between technology and the law. The CIO is responsible for using IT to make the business more efficient. Meanwhile, the CISO is responsible for developing and executing a security program that’s aimed to protect enterprise systems and data from both internal and external threats. At the end of the day, the CISO makes security recommendations to the CIO has the final say. Perhaps it’s time that the CISO gets a seat at the table. We need to do better. Exhausting. Dramatic. That’s how the Inside Out Security panelists described our 2018 security landscape. We see the drama unfold weekly on our show and this week was no different. As facial recognition software becomes more prevalent, we’re seeing it used in security to protect even the biggest stars like Taylor Swift. Her security team set up a kiosk replaying rehearsal highlights. Meanwhile, onlookers who stopped were cross checked against their database of stalkers. What a stealthy way to protect one of our favorite singers in the world! And here’s a story that’s less wholesome. A few years ago, we thought it was a major threat when ransomware gained prominence. Cybercriminals upped the ante and threatened victims with a note that someone planted bombs in the building unless a bitcoin ransom is paid. Kris is right, we do need to do better. Kilian is right, it’s all exhausting. There’s a yin and yang to technology. For instance, the exchange for convenience and ease with our data. Unfortunately Facebook is getting most of the blame, when many companies have collect many points of data as the default setting. Meanwhile, as quickly as diligent security pros are eager to adopt and advance security solutions with biometrics, cybercriminals are equally determined to thwart these efforts. 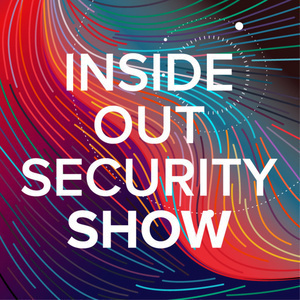 We take a look at technology's dilemma in this episode of the Inside Out Security show. We’ve completed almost 100 podcast panels and sometimes it feels like we’re talking in circles. Over the years, the security and privacy landscape have gotten more complex, making baseline knowledge amongst industry pros ever so more important. Old concepts are often refreshed into current foundational security concepts. Troy Hunt, creator of “Have I been pwned”, gives a virtual keynote that explores how security threats are evolving - and what we need to be especially conscious of in the modern era. We had a unique opportunity in talking with data privacy attorney Sheila FitzPatrick. She lives and breathes data security and is a recognized expert on EU and other international data protection laws. FitzPatrick has direct experience in working with and representing companies in front of EU data protection authorities (DPAs) and sits on various governmental data privacy advisory boards. Learning about the CIA’s tips and tricks on disguising one’s identity reminded us that humans are creatures of habit and over a period of time, can illuminate predictable behavioral patterns, which are presented as biometric data. As a result, businesses can leverage and integrate these data points with their operations and sales process. For instance, businesses are buying data about one’s health and also creating patents to measure a user’s pulse and temperature. Others are learning about the psychology about a user and making it difficult for a user to cancel a service. Vulnerability after vulnerability, we’ve seen that there’s no perfect model for security. Hence, the catchphrase, “If you can’t build in security, then build in accountability.” But history has also shown that even if there was enough political will and funding, consumers aren’t interested in paying a huge premium for security when a comparable product with the features they want is available much more cheaply. Will that theory hold when it comes to self-driving cars? At the very least, safety should be a foundational tenet. What’s the likelihood that anyone would enter a self-driving car knowing that a number of things could go wrong? After the latest Microsoft Ignite conference, the enduring dilemma of how CISOs explain security matters to the C-Suite bubbled to the surface again. How technical do you get? Also, when the latest and greatest demos are given at one of the world’s most premier technology show, it can be easy to get overwhelmed with fancy new tools. What’s more important is to remember the basics: patching, least privilege, incident response, etc. We continue our conversation with Protocols.io founder Lenny Teytelman. In part two of our conversation, we learn more about his company and the use cases that made his company possible. We also learn about the pros and cons of mindless data collection, when data isn’t leading you in the right direction and his experience as a scientist amassing enormous amount of data. We’re in an impermanent phase with technology where circumstances and cyberattacks are not always black or white. Here’s what we’re contending with: would you prefer a medical diagnosis from a human or machine? In another scenario, would a cyberattack on a state’s power grid be an act of war? Officially, it’s not considered so, yet. Or, perhaps a scenario less extreme where you buy a video and then 5 years later, it disappears from your library bc the company where you bought your video from loses the distribution rights. Data ownership is an important part of data security and privacy, but there are no hard and fast rules. A few months ago, I came across Protocols.io founder Lenny Teytelman’s tweet on data ownership. Since we’re in the business of protecting data, I was curious what inspired Lenny to tweet out his value statement and to also learn how academics and science-based businesses approach data analysis and data ownership. We’re in for a real treat because it’s rare that we get to hear what scientists think about data when in search for discoveries and innovations. Systems engineering manager Mike McCabe understands that State, Local and Education (SLED) government agencies want to be responsible stewards of taxpayer’s funds. So it makes sense they want to use security solutions that have proven themselves effective. For the past six years, he’s brought awareness on the tried and true efficacy of how Varonis solutions can secure SLED’s sensitive unstructured data. In our podcast interview, he explains why data breaches are taking place, why scripts aren’t the answer, and how we’re able to provide critical information about access to SLED’s sensitive data. We also make time to learn more about what Mike does outside of work and he has great advice on figuring out what to eat for dinner. Our community is finally discussing whether computer science researchers should be required to disclose negative societal consequences of their work to the public. Computer scientists argue that they aren’t social scientists or philosophers, but caring about the world isn’t about roles, it’s the responsibility of being a citizen of the world. At the very least, researchers ought to be effective communicators. We’ve seen them work with law enforcement and vulnerability announcements. There must be more they can do! While some of our colleagues geeked out at Blackhat, some of us vicariously experienced it online by following #BHUSA. The keynote was electric. They’re great ideas and we’ve seen them implemented in certain spaces. However, the reality is, we have a lot more work to do. There was also a serious talk about burn out, stress, and coping with alcohol as a form of escape. We learned that mental health is growing concern in the security space. As more organizations rely on technology, security pros are called on at all hours of the day to remediate and prevent disasters. Over the past six years, Colleen Rafter has been educating Varonis customers on the latest and greatest data security best practices. Share or NTFS permissions? She has an answer for that. Aware that security pros need to meet the latest GDPR requirements, she has been responsibly reading up on the latest requirements and developing course material for a future class. In our podcast, Colleen advises new Varonis customers what to do once they have our solutions and which classes to take and in what order. This week’s podcast was inspired by chief information security officer Wendy Nather’s article, The Security Povery Line and Junk Food. It’s 2018 and we’re still struggling to get a proper security budget. Is it a mindset? Is that why when we hire pen testers to identify vulnerabilities, they’re usually able to gain admin access? On the bright side, a company with a bigger budget, Google recently declared victory with a USB key that prevented phishing for an entire year. Dr. Gemma Galdon-Clavell is a leading expert on the legal, social, and ethical impact of data and data technologies. As founding partner of Eticas Research & Consulting, she traverses in this world every day, working with innovators, businesses, and governments who are are considering the ethical and societal ramifications of implementing new technology in our world. We continue our discussion with Gemma. In this segment, she points out the significant contribution Volvo made when they opened their seat belt patent. Their aim was to build trust and security with drivers and passengers. Gemma also points out that we should be mindful of the long-term drawbacks if you ever encounter a data breach or a trust issue - unfortunately, you’re going to lose credibility as well. One theme we're always discussing on the Inside Out Security podcast is the tension between law, privacy and security. When we create new technologies, we want security and privacy, economic prosperity and sustainability, accountability but insist on confidentiality. However, we also recognize the urgency businesses have in securing a first place finish. The reality is that it is difficult to embed all of these values in one pass. As technologies get built, it also elucidates some values we hold to a higher regard than others. When we create new technologies, we want security and privacy, economic prosperity and sustainability, accountability but insist on confidentiality. The reality is that it is difficult to embed all of these values in one pass. As technologies get built, it also elucidates some values we hold to a higher regard than others. To cope with moral overload, some have suggested that we start designing security and privacy controls as a gradient. Or perhaps certain controls get a toggle on/off switch. There are many advantages to being first, especially in the business world. Securing a first place finish usually rewards the winner with monopoly-like status and securing the largest and most dominant market share. A byproduct, however, of the winner takes all mentality is sacrificing security. We continue our conversation with cyber and tech attorney Camille Stewart on discerning one's appetite for risk. In other words, how much information are you willing to share online in exchange for something free? It's a loaded question and Camille takes us through the lines of questioning one would take when taking a fun quiz or survey online. As always, there are no easy answers or shortcuts to achieving the state of privacy savvy nirvana. In part one of our interview, Ms. Avery sets the foundation for us by describing what a successful diversity & inclusion program looks like, explaining unconscious bias and her thoughts on hiring based on one's social network. While reading about our latest technological advances, such as digital license plates and self-driving cars, I wondered about our industry’s core security principles that set the foundation for all our innovation. However, what about user agreements? We’re able to create incredible new advances, however we can’t get our user agreements right. Even though the agreements are for the users, it’s rare that they want to read the legalese. It’s just easier to click ‘accept’. As the author suggests, there’s must be a better way for end users to interact with tech companies. Many want the law to keep pace with technology, but what's taking so long? A simple search online and you'll find a multitude of reasons why the law is slow to catch up with technology - lawyers are risk averse, the legal world is intentionally slow and also late adopters of technology. Can this all be true? Or simply heresy? I wanted to hear from an expert who has experience in the private and public sector. That's why I sought out the expertise of Camille Stewart, a cyber and technology attorney. In part one of our interview, we talk about the tension between law and tech. And as it turns out, laws are built in the same way a lot of technologies are built: in the form of a framework. In April of 2013, after a short stint as a professional baseball player, Sean Campbell started working at Varonis as a Corporate Systems Engineer. Currently a Systems Engineer for New York and New Jersey, he is responsible for uncovering and understanding the business requirements of both prospective and existing customers across a wide range of verticals. This involves many introductory presentations, proof of concept installations, integration expansion discussions, and even the technical development of Varonis channel partners. Sean also leads a team of subject matter experts(SME) for our innovative DatAlert platform. The fast paced environment, challenge of data security, and the fact that the sales cycle is far from “cookie cutter” is what Sean enjoys most about his role here. He also values the relationships he has been given the ability to build up over the years on both the Varonis and customer side. Data Protectionism: Friend or Foe? Data protectionism - restricting the movement of data between countries - will be an option that governments will elect to implement in the upcoming months and years. As the world economy become more data-driven, impacting global GDPs, they will soon find their way into trade deals, requiring data to be held in servers inside certain countries. Medical devices are a good example of what computerized assistants might face in the future. Yes, medical devices can save lives and certainly serve a more noble cause than outsourcing tedious tasks, but the security aspect of these life-saving pacemakers and defibrillators still require firmware updates. Seems that we still haven’t learned our lesson: embed security at the initial stages of design. If you’ve ever seen Technical Evangelist Brian Vecci present, his passion for Varonis is palpable. He makes presenting look effortless and easy, but as we all know excellence requires a complete devotion to the craft. I recently spoke to him to gain insight into his work and to shed light on his process as a presenter. “When I first started presenting for Varonis, I’d have the presentation open on one half of the screen and Evernote open on the other half and actually write out every word I was going to say for each slide,” said Brian. From there, he improvises from the script. Sara Jodka is an attorney for Columbus-based Dickinson Wright. Her practice covers boths data privacy as well as employee law. She's in a perfect position to help US companies in understanding how the EU General Data Protection Regulation (GDPR) handles HR data. In the second part of our interview, Sara will talk about the relationship between HR data and Data Protection Impact Assessments (DPIAs). In part two of my interview with Varonis CFO & COO Guy Melamed, we get into the specifics with data breaches, breach notification and the stock price. What’s clear from our conversation is that you can no longer ignore the risks of a potential breach. There are many ways you can reduce risk. However, if you choose not to take action, minimally, at least have a conversation about it. Also, around 5:11, I asked a question about IT pros who might need some help getting budget. There’s a story that might help. A popular catchphrase amongst IT pros is: “It’s a no brainer.” When an idea presented is expressed as a no brainer, it’s assumed that the idea has obvious value, when processes and strategic decisions are more complicated than it appears. So when it comes to cybersecurity, not everything is a no brainer. Far from it. Sara Jodka is an attorney for Columbus-based Dickinson Wright. Her practice covers boths data privacy as well as employee law. She's in a perfect position to help US companies in understanding how the EU General Data Protection Regulation (GDPR) handles HR data. In this first part of the interview, we learn from Sara that some US companies will be in for a surprise when they learn that all the GPDR security rules will apply to internal employee records. The GPDR's consent requirements, though, are especially tricky for employees. Recently, the SEC issued guidance on cybersecurity disclosures, requesting public companies to report data security risk and incidents that have a “material impact” for which reasonable investors would want to know about. How does the latest guidance impact a CFO’s responsibility in preventing data breaches? Luckily, I was able to speak with Varonis’ CFO and COO Guy Melamed on his perspective. In part one of my interview with Guy, we discuss the role a CFO has in preventing insider threats and cyberattacks and why companies might not take action until they see how vulnerable they are with their own data. An interview well worth your time, by the end of the podcast, you’ll have a better understanding of what IT pros, finance, legal and HR have on their minds. In part two of my interview with Delft University of Technology’s assistant professor of cyber risk, Dr. Wolter Pieters, we continue our discussion on transparency versus secrecy in security. We also cover ways organizations can present themselves as trustworthy. How? Be very clear about managing expectations. Declare your principles so that end users can trust that you’ll be executing by the principles you advocate. Lastly, have a plan for know what to do when something goes wrong. And of course there’s a caveat, Wolter reminds us that there’s also a very important place in this world for ethical hackers. Why? Not all security issues can be solved during the design stage. This week, we talk about our annual data risk assessment report and sensitive files open to every employee! 41% of companies are vulnerable. The latest finding put organizations at risk as unsecure folders give attackers easy access to business roadmaps, intellectual property, financial and health data, and more. We even discussed how data open to everyone in an organization relates to user-generated data shared with 3rd party apps. Is it a data security or privacy problem? The panelists think it’s a breach of confidence. We’re all counting down to the RSA Conference in San Francisco April 16 – 20, where you can connect with the best technology, trends and people that will protect our digital world. Attendees will receive a Varonis branded baseball hat and will be entered into a $50 gift card raffle drawing for listening to our presentation in our North Hall booth (#3210). Attendees that visit us in the South Hall (#417) will receive a car vent cell phone holder. In addition to stopping by our booth, below are sessions you should consider attending. You’ll gain important insights into best security practices and data breach prevention tips, while learning how to navigate a constantly evolving business climate. In part one of my interview with Delft University of Technology’s assistant professor of cyber risk, Dr. Wolter Pieters, we learn about the fundamentals of ethics as it relates to new technology, starting with the trolley problem. A thought experiment on ethics, it’s an important lesson in the world of self-driving cars and the course of action the computer on wheels would have to take when faced with potential life threatening consequences. Prior to Varonis, Elena Khasanova worked in back end IT for large organizations. She did a bit of coding, database administration, project management, but was ready for more responsibility and challenges. So seven years ago, she made the move to New York City from Madison, Wisconsin to join the professional services department at Varonis. Are Users and Third-Party Vendors Frenemies? In the midst of our nationwide debate on social media companies limiting third party apps’ access to user data, let’s not forget that companies have been publicly declaring who collects our data and what they do with it. Why? These companies have been preparing for GDPR, the new EU General Data Protection Regulation as it will go into effect on May 25th. This new EU law is a way to give consumers certain rights over their data while also placing security obligations on companies holding their data. In this episode of our podcast, we’ve found that even disclosures, such as Paypal’s, leave us with more questions than answers. But, as we’ve discussed in our last episode, details matter. With one sensational data breach headline after another, we decided to take on the details behind the story because a concentrated focus on the headline tends to reveal only a partial dimension of the truth. We’re also living in a very different time when everything we do in our personal lives can potentially end up on the internet. However, thanks to the EU’s “right to be forgotten” law, the public made 2.4 million Google takedown requests. Striking the perfect balance will be difficult. How will the world choose between an organization’s goals (to provide access to the world’s information) versus an individual’s right to be forgotten? Today even if we create a very useful language, IoT device, or software, at some point, we have to go back to fix the security or send out PSAs. Troy Hunt, known for his consumer advocacy work on breaches, understands this very well. He recently delivered a very practical PSA: Don’t tell people to turn off Windows update, just don’t. We also delivered a few PSAs of our own: cybercriminals viewour linkedin profiles to deliver more targeted phish emails, whether we’d prefer to deal with ransomware or cryptomalware, and the six laws of technology everyone should know. IT pros could use a little break from security alerts. They get a lot of alerts. All. The. Time. While alerts are important, a barrage of them can potentially be a liability. It can cause miscommunication, creating over reactivity. Conversely, alerts can turn into white noise, resulting in apathy. Hence the adage: if everything is important, nothing is. Instead, should we be proactive about our security risks rather than reactive? Manifesting Chaos or a Security Risk? Regular listeners of the Inside Out Security podcast know that our panelists can’t agree on much. Well, when bold allegations that IT is the most problematic department in an organization can be, ahem, controversial. But whether you love or hate IT, we can’t deny that technology has made significant contributions to our lives. For instance, grocery stores are now using a system, order-to-shelf, to reduce food waste. There are apps to help drivers find alternate routes if they’re faced with a crowded freeway. Both examples are wonderful use cases, but also have had unforeseen side effects. It’s our first show of 2018 and we kicked off the show with predictions that could potentially drive headline news. By doing so, we’re figuring out different ways to prepare and prevent future cybersecurity attacks. Self-quantified trackers made possible what was once nearly unthinkable: for individuals to gather data on one’s activity level in order to manage and improve one’s performance. Some have remarked that self-quantified devices can hinge on the edge of over management. As we wait for more research reports on the right dose of self-management, we’ll have to define for ourselves what the right amount of self-quantifying is. Meanwhile, it seems that businesses are also struggling with a similar dilemma: measuring the right amount of risk and harm as it relates to security and privacy. Acting FTC Chairman Maureen Ohlhausen said at a recent privacy and security workshop, “In making policy determinations, injury matters. ... If we want to manage privacy and data security injuries, we need to be able to measure them." The end of the year is approaching and security pros are making their predictions for 2018 and beyond. So are we! This week, our security practitioners predicted items that will become obsolete because of IoT devices. Some of their guesses - remote controls, service workers, and personal cars. Meanwhile, as the business world phase out old technologies, some are embracing the use of new ones. For instance, many organizations today use chatbots. Yes, they’ll help improve customer service. But some are worried that when financial institutions embrace chatbots to facilitate payments, cyber criminals will see it as an opportunity to impersonate users and take over their accounts. Recently the Food and Drug Administration approved the first digital pill. This means that medicine embedded with a sensor can tell health care providers – doctors and individuals the patient approves – if the patient takes their medication. The promise of this new approval are enormous. It will ensure a better health outcome for the patient, giving caretakers have more time with the ones they love. What’s more, by learning more about how a drug interacts with a human system, researchers might find a way to prevent illnesses that was once believed impossible to cure. However, as security pros there are some in the industry that believe that the potential for abuse might overshadow the promise of what could be. I found a possible answer to that question at New York Times director of infosecurity, Runa Sandvik’s recent keynote at the O’Reilly Security Conference. She told the attendees that many moons ago, Yahoo had three types of infosecurity departments: core, dedicated and local. Long before data breaches became mainstream, Rita Gurevich CEO of SPHERE Technology Solutions, built a thriving business on the premise of assisting organizations secure their most sensitive data from within, And because of her multi-faceted experiences interacting with the C-Suite, technology vendors, and others in the business community, we thought listening to her singular perspective would be well worth our time. Critical systems once operated by humans are now becoming more dependent on code and developers. There are many benefits to machines and automation such as increased productivity, quality and predictability. But when websites crash, 911 systems go down or when radiation-therapy machines kill patients because of a software error, it’s vital that we rethink our relationship with code and as well as the ethical and moral obligations of machines and humans. Outlined in the National Cyber Security Centre’s “Cyber crime: understanding the online business model,” the structure of a cybercrime organization is in many ways a lot like a regular tech startup. There’s a CEO, developer, and if there are enough funds, an IT department. By now, we’re all aware that many of the platforms and services we use collect and store information about our data usage. Afterall, they want to provide us with the most personalized experience. He is on to something. We don’t usually consider archiving stale data until we’re out of space. It is often through printing photos, docs, spreadsheets, and pdfs that we would feel the weight and space consuming nature of the data we own. While some regard Infosec as compliance rather than security, veteran pentesters Sanjiv Kawa and Tom Porter believe otherwise. They have deep expertise working with large enterprise networks, exploit development, defensive analytics and I was lucky enough to speak with them about the fascinating world of pentesting. Ofer Shezaf is Director of Cyber Security at Varonis. A self-described all-around security guy, Ofer is in charge of security standards for Varonis products. He has had a long career that includes most recently a stint at Hewlett-Packard, where he was a product manager for their SIEM software, known as ArcSight. Ofer is a graduate of Israel's elite Technion University. In this second part of the interview, we explore ways to improve data security through security by design techniques and other methods. Ofer Shezaf is Director of Cyber Security at Varonis. A self-described all-around security guy, Ofer is in charge of security standards for Varonis products. He has had a long career that includes most recently a stint at Hewlett-Packard, where he was a product manager for their SIEM software, known as ArcSight. Ofer is a graduate of Israel's elite Technion University. In this first part of the interview, Ofer shares his thoughts on the changing threat landscape. Dr. Tyrone Grandison has done it all. He is an author, professor, mentor, board member, and a former White House Presidential Innovation Fellow. He has held various positions in the C-Suite, including his most recent role as Chief Information Officer at the Institute of Health Metrics and Evaluation, an independent health research center that provides metrics on the world's most important health problems. We’re a month away from Halloween, but when a police detective aptly described a hotel hacker as a ghost, I thought it was a really clever analogy! It’s hard to recreate and retrace an attacker’s steps when there are no fingerprints or evidence of forced entry. Do you keep holiday photos away from social media when you’re on vacation? Security pros advise that it's one way to reduce your security risk. Yes, the idea of an attacker mapping out a route to steal items from your home sound ambitious. However, we’ve seen actual examples of a phishing attack as well as theft occur. How difficult is it for you to tell the difference between fried chicken or poodle? What about a blueberry muffin or Chihuahua? When presented with these photos, it requires a closer look to differentiate the differences. It turns out that self-driving car cameras have the same problem. Recently security researchers were able to confuse self-driving car cameras by adhering small stickers to a standard stop sign. What did the cameras think they saw? 45mph Speed Limit sign. Dr. Zinaida Benenson is a researcher at the University of Erlangen-Nuremberg, where she heads the "Human Factors in Security and Privacy" group. She and her colleagues conducted a fascinating study into why people click on what appears to be obvious email spam. In the second part of our interview, Benenson offers very practical advice on dealing with employee phishing and also discusses some of the consequences of IoT hacking. When we delete a file, our computer’s user interface makes the file disappear as if it is just a simple drag and drop. The reality is that the file is still in your hard drive. Zinaida Benenson is a researcher at the University of Erlangen-Nuremberg, where she heads the "Human Factors in Security and Privacy" group. She and her colleagues conducted a fascinating study into why people click on what appears to be obvious email spam. In the first part of our interview with Benenson, we discusses how she collected her results, and why curiosity seems to override security concerns when dealing with phish mail. Are Cyber War Rooms Necessary? While some management teams are afraid of a pentest or risk assessment, other organizations - particularly financial institutions - are well aware of their security risks. They are addressing these risks by simulating fake cyberattacks. By putting IT, managers, board members and executives who would be responsible for responding to a real breach or attack, they are learning how to respond to press, regulators, law enforcement, as well as other scenarios they might not otherwise expect. Some of you might be familiar with Roxy Dee’s infosec book giveaways. Others might have met her recently at Defcon as she shared with infosec n00bs practical career advice. But aside from all the free books and advice, she also has an inspiring personal and professional story to share. In this podcast episode, we discussed not only sessions you should consider attending, but also questions you should be asking as well as why certain research methods like honeypots, while important, won’t save you from insider threats or other attacks. Finally, after years of advocacy many popular web services have adopted two-factor authentication (2FA) as a default security measure. Unfortunately, as you might suspect attackers have figured out workarounds. For instance, attackers that intercept your PIN in a password reset man-in-the-middle attack. Right now, many companies are planning 2018’s budget. As always, it is a challenge to secure enough funds to help with IT’s growing responsibilities. Whether you’re a nonprofit, small startup or a large enterprise, you’ll be asked to stretch every dollar. In this week’s podcast, we discussed the challenges a young sysadmin volunteer might face when tasked with setting up the IT infrastructure for a nonprofit. Is Data Worth More Than Money? Sure you can quantify the cost of tools, equipment, hours spent protecting data, but what about intellectual and emotional labor? How do we assign proper value to the creative essence and spirit of what makes our data valuable? What does the EU General Data Protection Regulation (GDPR) mean for countries outside the EU? The short answer is: if your organization store, process or share EU citizens’ personal data, GDPR rules will apply to you. Troy Hunt is a web security guru, Microsoft Regional Director, and author whose security work has appeared in Forbes, Time Magazine and Mashable. He’s also the creator of “Have I been pwned?”, the free online service for breach monitoring and notifications. In this podcast, we discuss the challenges of the industry, learn about his perspective on privacy and revisit his talk from RSA, Lessons from a Billion Breached Data Records as well as a more recent talk, The Responsibility of Disclosure: Playing Nice and Staying Out of Prison. In this concluding post of John Carlin’s Lessons from the DOJ, we cover a few emerging threats: cyber as an entry point, hacking for hire and cybersecurity in the IoT era. The latest release of SANS’ Security Awareness Report attributed communication as one of the primary reasons why awareness programs thrive or fail. Yes, communication is significant, but what does communication mean? Hypothetical questions that used to be debated on the big screen are questions we’re now debating on our podcast. Will we be able to maintain an appropriate level of privacy within our homes? What are some positive and negative applications of a new technology? Should we extinguish our identification cards so that we can authenticate with biometrics? We continue with our series with John Carlin, former Assistant Attorney General for the U.S. Department of Justice’s National Security Division. This week, we tackle ransomware and insider threat. In part two of our series, John Carlin shared with us lessons on economic espionage and weaponized information. After WannaCry, US lawmakers introduced the Protecting Our Ability to Counter Hacking Act of 2017, or PATCH Act. If the bill gets passed, it would create a Vulnerabilities Equities Process Review Board where they would decide if a vulnerability, known by the government, would be disclosed to a non-government entity. It won’t be an easy law to iron out as they’ll need to find the right balance between vulnerability disclosure and national security. Even though it feels like France’s presidential election seems like ages ago, it was a very public security win. 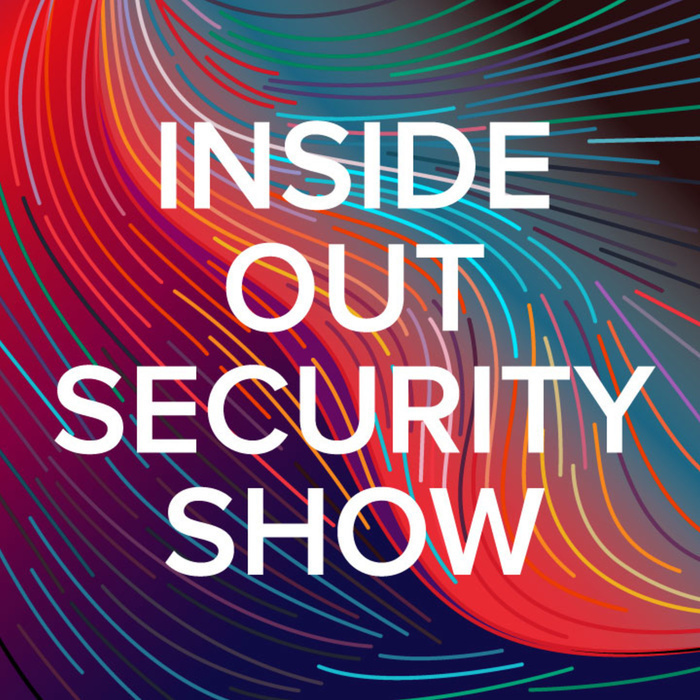 The Inside Out Security show panelists – Kris Keyser, Mike Buckbee, and Kilian Englert synthesize how it all unfolded. They also weighed in on the FBI director’s release from his duties. What’s relevant in this story in the infosec space is what happens after someone leaves an organization. Sue Foster is a London-based partner at Mintz Levin. In the second part of the interview, she discusses the interesting loophole for ransomware breach reporting requirements that's currently in the GDPR However, there's another EU regulation going into effect in May of 2018, the NIS Directive that would still make ransomware reportable. And Foster talks about the interesting implications of IOT devices in terms of the GDPR. Last week, when the world experienced the largest ransomware outbreak in history, it also reminded me of our cybersecurity workforce shortage. We can never have too many security heroes! Sue Foster is a London-based partner at Mintz Levin. She has a gift for explaining the subtleties in the EU General Data Protection Regulation (GDPR). In this first part of the interview, she discusses how US companies can get caught up in either the GDPR's extraterritoriality rule or the e-Privacy Directive's new language on embedded communication. Privacy and IT security pros should find her discussion particularly relevant. John P. Carlin, former Assistant Attorney General for the U.S. Department of Justice’s (DOJ) National Security Division, spent an afternoon last week sharing lessons learned from the DOJ. Rather than referring our weekly podcast panelists as security experts, we’re now introducing them as security practitioners. There’s been a long held stigma amongst our infosec cohort and it’s getting in the way of doing business. What’s the stigma, you ask? “Know-it-all” techies who are unable to communicate. Unfortunately, this shortcoming also puts our jobs at stake. As sleep and busyness gain prominence as status symbols, I wondered when or if good security would ever achieve the same notoriety. If you want to be an infosec guru, there are no shortcuts to the top. And enterprise information security expert, Christina Morillo knows exactly what that means. It was only last week that we applauded banks for introducing cardless ATMs in an effort to curb financial fraud. But with the latest bank heists, it may help to turn up the offense and defense. Why? Hackers were able to drill a hole, connect a wire, cover it up with a sticker and the ATM will automatically and obediently dispense money. Another group of enterprising hackers changed a bank’s DNS, taking over their website and mobile sites, redirecting customers to phishing sites. Recently, the Pew Research Center released a report highlighting what Americans know about cybersecurity. The intent of the survey and quiz was to understand how closely Americans are following best practices recommended by cybersecurity experts. Besides talking to my fav security experts on the podcast, I’ve also been curious with what CISOs have been up to lately. Afterall they have the difficult job of keeping an organization’s network and data safe and secure. Plus, they tend to always be a few steps ahead in their thinking and planning. Over the past few weeks, we’ve been heavily debating on a user’s threshold for our personal data seen in the public domain. For instance, did you know that housing information has always been public information? They are gathered from county records and the internet has just made it less cumbersome. In our "always-on" society, it's important that our conversation on IoT security continues with the question of data ownership. As more physical devices connect to the internet, I wondered about the responsibility IoT manufacturers have in building strong security systems within devices they create. There’s nothing like a lapse in security that could potentially halt the growth of a business or bring more cybersecurity awareness to a board. I recently came across an article that gave me pause, “Why Data Breaches Don’t Hurt Stock Prices.” If that’s the case and if a breach doesn’t impact the sale of a company, does security matter? The debate between users volunteering their data for better service versus being perceived as a creepy company who covertly gathers user data remains a hot topic for the Inside Out Security panel –Kris Keyser, Mike Buckbee, and Kilian Englert. In part two of my interview with Angela Sasse, Professor of Human-Centred Technology, she shared an engagement she had with British Telecom(BT). This week, we continue our ongoing ransomware discussion with the Inside Out Security Show panel - Kilian Englert, Mike Buckbee, and Mike Thompson. Lately, we’ve been hearing more from security experts who are urging IT pros to stop scapegoating users as the primary reason for not achieving security nirvana. After covering this controversy on a recent episode of the Inside Out Security Show, I thought it was worth having an in-depth conversation with an expert. Inspired by [this tweet], I asked the Inside Out Security Show panelist – Kilian Englert, Mike Buckbee, and Alan Cizenski - if they could add an extra factor of authentication, what would it be? Adam Tanner is the author of "Our Bodies, Our Data", which tells the story of a hidden dark market in drug prescription and other medical data. In this second part of our interview, Adam explains how data stripped of personal identifiers can be associated back to the consumer. While I thought we could ride on our recent successes for just a bit longer, attackers are back in full swing, filling my twitter feed with latest jaw dropping security news. As I waded in worry, I stumbled upon an interesting Benjamin Franklin quote, “Distrust and caution are the parents of security.” Should distrust and caution be the parents of security? Who or what should the parents of security be? It’s not often that we hear about security successes. With ransomware and data breaches driving headlines, it can feel like security pros are always one step behind. Recently, however, I found a few stories that I thought were worth celebrating. Adam Tanner is the author of "Our Bodies, Our Data", which tells the story of a hidden dark market in drug prescription and other medical data. In this first part of our interview, we learn from Adam how this business in selling medical information got started and why it's legal under HIPAA. In this segment, she talks about the importance of involving customers in the decisions that the business make. We also made time to cover GDPR as well as three things organizations can do to demonstrate that they are serious about privacy. Next month, the world will be talking security at the annual RSA Conference, which will be held in San Francisco on February 13th to the 17th. When it comes to discussing security matters, experts often tell us to take stock of our risks or to complete a risk assessment. However, perhaps before understanding where we might be vulnerable, it might be more important to consider exactly what threats we’re really faced with. I recently had the chance to speak with former Ontario Information and Privacy Commissioner Dr. Ann Cavoukian about big data and privacy. Dr. Cavoukian is currently Executive Director of Ryerson University’s Privacy and Big Data Institute and is best known for her leadership in the development of Privacy by Design (PbD). What’s more, she came up with PbD language that made its way into the GDPR, which will go into effect in 2018. First developed in the 1990s, PbD addresses the growing privacy concerns brought upon by big data and IoT devices. Meanwhile the Inside Out Security Show panel – Kilian Englert, Forrest Temple and Mike Buckbee - also speculated on a few things of their own based on a few articles they’ve read the news recently – hackers guessing your credit card information in less than six seconds, the security implications of the Amazon Go Grocery Store, and more malvertising. Plus, we also continued our never ending debate on privacy. Is Security a Benefit or a Feature? I recently came across a tweet that was shared during the Infosecurity Maganzine Conference in Boston, “Security is a benefit, but not always a feature.” The reason? You can spend a lot of money and still be hacked or not spend a dime and not be hacked. Agree or Disagree. Listen to what the panel had to say. In this segment, he talks about a lesser known form authentication -biometrics and the use of keystroke dynamics to identify individuals. Last month, there was a thought-provoking article on programmers who were asked to do unethical work on the job. We often talk about balancing security with precaution and paranoia, but I wondered about the balance of ethics and execution. As always, I was curious to hear the reactions from the Inside Out Security Show panel – Cindy Ng, Mike Buckbee, Kris Keyser, and Mike Thompson. Based in Norway, Per Thorsheim is an independent security adviser for organizations and government. He is also the founder of PasswordsCon.org, a conference that’s all about passwords, PIN codes, and authentication. Launched in 2010, the conference is a gathering security professionals & academic researchers worldwide to better understand and improve security worldwide. Like many in IT, you can probably commiserate with this week’s Inside Out Security Show panel – Mike Buckbee and Alan Cizenski – on elaborating when someone asks you, “What Do You Do for a Living?” Whether you’re a programmer or a sysadmin, the scope of your role is often multi-faceted and complex. The Election is Over…Back to Work? On election day, I stumbled upon an article that described presidential candidates’ newfound ability to influence voters with big data. Not health, financial or sensitive data, but data from loyalty cards, gym memberships etc. Rather than a financial exchange as the end goal, the purpose of using big data to influence end users would be for a vote on November 4th. In the next part of our discussion, data privacy attorney Sheila FitzPatrick get into the weeds and talks to us about her work in setting up Binding Corporate Rules (BCR) for multinational companies. These are actually the toughest rules of the road for data privacy and security. At the awesome O’Reilly Security Conference, I learned from world-leading security pros about the most serious threats facing IT. Hmm, sounds like that would make a great topic for discussion with the Inside Out Security Show panel – Kilian Englert, Kris Keyser, and Peter TerSteeg. In this episode of the Inside Out Security Show panel – Mike Buckbee and Mike Thompson – shared their thoughts on the latest botnet attack. Since October was Cyber Security Awareness month, we decided to look at what’s holding back our efforts to make security—to coin a phrase—“great again”. We have more Ken Munro in this second part of our podcast. In this segment, Ken tells us how he probes wireless networks for weaknesses and some of the tools he uses. When Security Is Low, How Do We Go High? So how low can security go? To start, our music, email, and our new favorite toy, the internet of things(IoT) have been hijacked. What?! Also in our "Thinking Like A Hacker" segment, we try to explain SQL Injection using analogies even a five year old would understand. And our tool this week for Sysadmins - Fiddler, the free web debugging proxy for any browser, system or platform. In this second podcast, Bennett continues where he left off last time. Borden describes his work on developing algorithms to find insider threats based on analyzing content and metadata. In this second podcast, Mr. Wendell continues where he left off last time. He explains the skills you’ll need in order to be an effective Chief Data Officer and we learn more about MIT’s International Society of Chief Data Officers. Hackers, Executives, Military Folks, IT People who work in Insurance, even Cab Drivers all had something to teach us about security and privacy at the latest Black Hat event in Vegas.